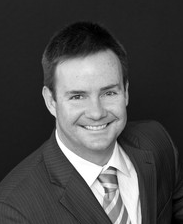 Kristian Lunardi from Nelson Alexander was today awarded the 2015 REIV Novice Auctioneer.Congratulations to Kristian. This year’s Ronald McDonald Victoria Golf Day was held at The National. The day was a huge success that raised close to $50,000 for the Victorian Ronald McDonald Houses. A fantastic night saw Jesse Bromwich win the 2015 Player of the Year Award. A great night saw Richmond\‘s key defenders Alex Rance win the 2015 Jack Dyer Medal.